The approach that I talk about in this Rhythm Changes lessons is probably the best way to learn how to improvise over complex chord progressions. 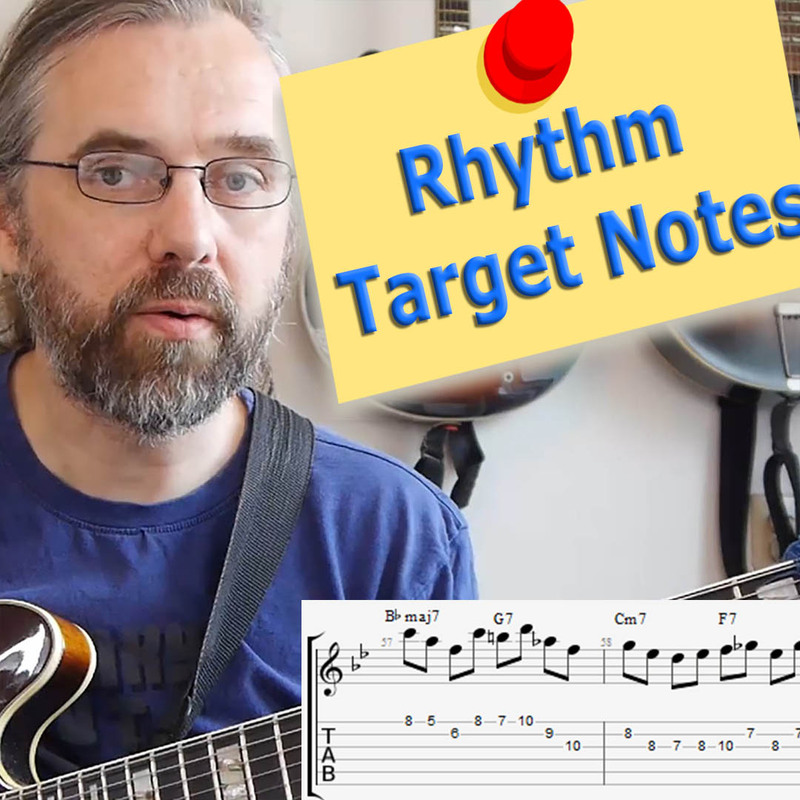 Using Target notes is a great way to create lines that naturally move forward and helps you stay ahead of the chord changes rather than trying to catch up when it has already happened. The lesson package contains 2 transcribed solos on a medium tempo Rhythm Changes and some exercises and etudes to help you get started soloing using target notes. The two lessons are analyzing one of the solos and going over the exercises to introduce you to this way of thinking and how to start practicing.